…. 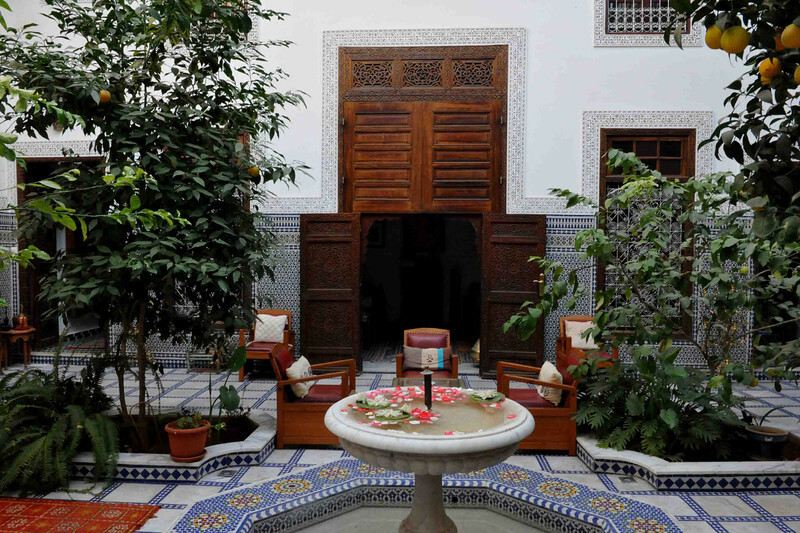 Or you may just want to retire to your Riad and soak up the peace and serenity found inside this magnificent oasis hidden amidst the Medina walls. These Raids where once reserved for only the wealthy but many have been restored and transformed into stunning guest houses.. Relaxing amongst the orange trees and Moorish fountains inside the open courtyard is the perfect way to end a day of exploring the Fes Medina.